With our GSM units, users can gain a more thorough understanding of bird movement patterns than ever before. 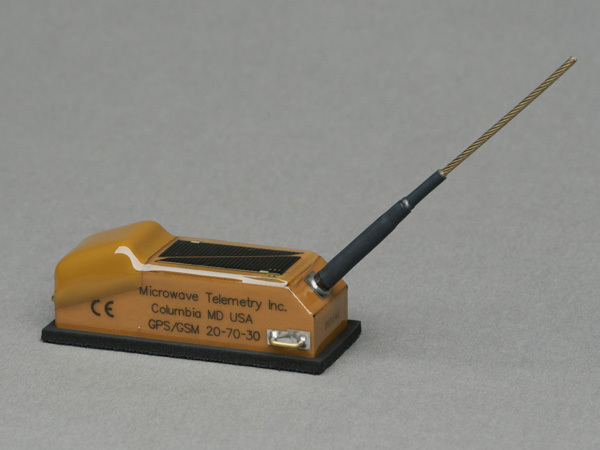 Some researchers have used the GPS/GSM 20-70 30g Transmitter alongside its Solar Argos/GPS counterpart to track birds that travel through areas inside and outside the reach of the GSM network. By strategically using both models on different birds from a single population, researchers can monitor a wider range of their study subjects' movements. The housing of the 30g model is effective for minimizing feather coverage of the solar array, and its battery size and solar array create an optimal balance of fast charging and power reserve.